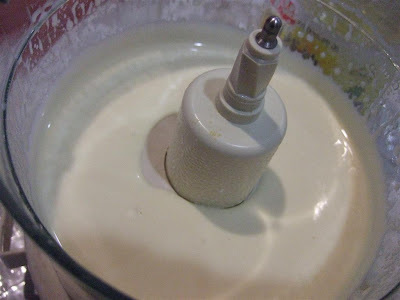 I've been wanting to try and make mayonnaise for a long time. Finally decided to make it today. 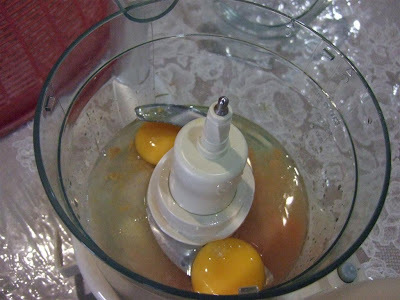 Basically the ingredients are egg and oil and you beat them to make a thick emulsion. Here's the picture of ingredients. 1 egg yolk and one whole egg. Put the above ingredients into your blender and pulse it five times at least. 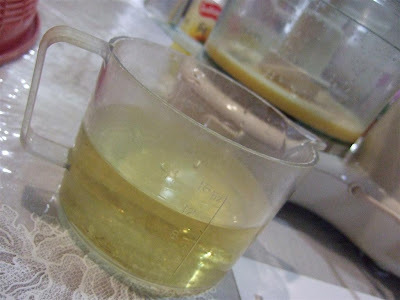 Measure two cups of corn , sunflower or canola oil. Don't use olive oil as it doesn't give it a nice taste. 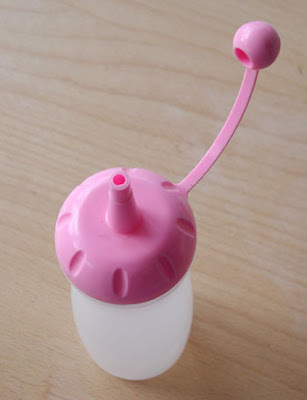 One of those plastic ketchup or soy sauce bottles that you can buy cheaply at 1.99 shops. 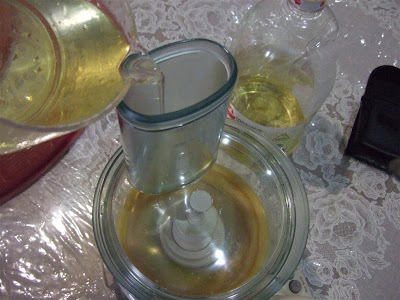 The key here is to add the oil SLOWLY, very slowly! If you add too fast, you won't get an emulsion. Ta daa~~ home made mayo! You can store in the refrigerator for up to one week. Make sure your container is tightly closed. For Japanese style mayonnaise, use rice vinegar for the vinegar component, a neutral flavored oil such as canola , and increase sugar to 1/2 tsp. 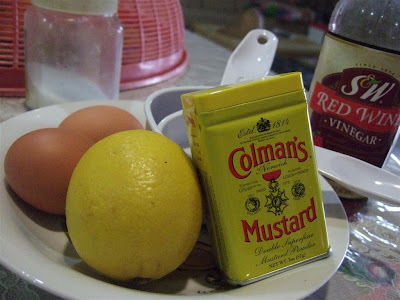 To make Aioli, add 1 to 2 crushed garlic cloves in the beginning with the eggs.